The average gamer plays video games an average of 6.5 hours a week! If you are one of these gamers who spends a lot of time playing video games, you need a great chair to sit in that provides comfort. That’s where an ergonomic gaming chair comes into play. These chairs are built to ensure that you’re comfortable while you sit in them. There are plenty of these types of gaming chairs available on the market. But for now, we’re focusing on the Akracing AK-5015. Read on to learn more about the Akracing AK-5015 Ergonomic gaming chair. Sitting in a chair for long periods of time can be detrimental to your health. In fact, studies have shown that long periods of sitting can cause chronic diseases. It can also cause you to have terrible back and hip pain. So how do you prevent this from occurring without giving up your love of gaming? Thankfully, ergonomic gaming chairs were created to take some pressure off your back and neck. The Akracing AK-5015 chair is the right gaming chair crafted to prevent pain to your neck, back, and wrists. This way you’ll be able to game for several hours and keep your posture in check. How a chair feels and looks depends on how it’s crafted. It seems that Akracing has made this chair stable and stylish enough to last for a long time. They’ve also taken into account the comfort needed for those gamers who spend a lot of time in a chair. If you are currently using a regular, boring office chair, it is definitely time for an upgrade! The frame of the Akracing AK-5015 ergonomic gaming chair is made of metal. This makes it capable of holding up to 396 lbs so it is super sturdy and stable. You should not have any issues with this chair breaking, no matter what your weight is. Regardless of how tall or short you are, you’ll be able to rock this chair for all your gaming purposes. The class-4 gas lift allows you to adjust the height to your liking. At its tallest, the chair is 19.5 inches, and the shortest height goes down to 16.5 inches. This is easily adjustable by pulling on the lever underneath the seat. The fabric of the seat itself is made of polyurethane leather. This material adds sleekness to the chair. The faux leather material not only adds to the comfort of the chair, but this material will withstand several years of use. It’s also easy to wipe down with a wet cloth should it become dirty. Whether you’re feeling sporty and want the red and black chair, or want a more muted white and black chair, the several color options suit anyone who chooses to purchase it. The look and design of the chair itself look extra sporty. Not only is it comfortable, it’s fashionable! The Akracing AK-5015 Ergonomic gaming chair boasts a lot of great features that gamers will love. A lot of these features you can’t find in other gaming chairs. Ever sat in a chair that didn’t have adjustable armrests? It can be uncomfortable to sit in one that doesn’t have this feature. Your arms may feel like they are too high, or too low to be truly comfortable. It can be uncomfortable to sit in one that doesn’t have this feature. Your arms may feel like they are too high, or too low to be truly comfortable. And if you’re a gamer, this can be bothersome. Thankfully, this ergonomic gaming chair has adjustable armrests so you can rest your arms at a comfortable position. The armrests, like the rest of the chair, has padding which adds to the comfort of this piece. Sometimes sitting up straight for long periods of time can cause pain in your lower back. It can also cause you hip pain if you’re putting too much pressure on your lower half. A lot of chairs don’t allow you the option to adjust the backrest. The Akracing AK-5015 ergonomic gaming chair enables you to adjust the backrest as far back as you need to. You can even adjust the back up to 180 degrees. With that much adjustment power, you’ll definitely be able to find an angle that works for you. Simply pull on the lever located at the back of your chair and adjust to your liking. Once you’ve decided on the angle you like, the chair will lock into place once you’ve let go. Just want to rest your back for a bit instead of totally positioning the chair backward? Maybe you just want to sit in your chair for a bit to rest. This chair gives you a recline option. This way, you can rock the backrest back and forth if your back just needs a little rest. Simply lean back as you would a regular rocking chair and relieve some of the stress on your back. Gaming for hours on end requires ultimate comfort. You may find yourself adding additional padding to your current gaming chair. If you purchase this chair, you’ll no longer have to do that. This chair gives you optimal comfort with its extra padding located all over. There is padding on the sides of the chair that contour to your body once you sit down. Additional padded neck rests and lower back pillows will keep your neck and back protected for those long hours of gaming. If this is too much padding for you, these two extra neck and back pillows are removable and adjustable. One of the best ways to see how well a chair works is to take a look at what others are saying about it. What are the worst parts about this chair? Not everything is perfect. This ergonomic gaming chair is no different. Uncomfortable Seat – One of the biggest complaints against this chair is the seat itself. A lot of reviewers have complained that the seat is too flimsy and doesn’t provide enough padding. Others state that the bottom portion of the seat is too firm, so it isn’t as comfy as it could be. Material – The polyurethane leather material that the seat is made of is often a complaint against this chair. Some users say that the material does not allow air to pass through. This causes them to sweat if they are in the chair for a few hours. Seat Size – A lot of larger framed people found that this seat was not wide enough. While it does say that the seat is 23 inches in width, many did not feel it truly expanded that wide. This could also have something to do with the padded sides. These can reduce the size of the seat. Poor Instructions – Several reviewers noted that the instructions were difficult to follow. Of course, this is usually a common complaint when the users are expected to install the chair themselves. Is this chair highly recommended? On Amazon, this chair was rated at 4.2 out of 5 stars. While there were some complaints, many people were impressed by this ergonomic gaming chair. The biggest compliment about this chair was that it helped a lot of people with their back pain. Some experienced gamers said that it, in fact, was one of the best chairs they have ever used. Several users stated that they felt this chair was made perfectly for their body type. A lot of users of all sizes said it was comfortable, so height and weight of a person are not an issue when using this chair. Ultimately, users found more good things to say than bad about this gaming chair. Whether you play games on PC or your gaming console, you need a quality chair to sit in. You know the health risks associated with sitting in a chair that doesn’t have good posture support. So you know that purchasing a chair with good support is almost necessary. And now you should know the benefits to purchasing an excellent ergonomic gaming chair. There are tons of ergonomic chairs on the market, so it may be difficult for you to choose just one. We’ve given you the rundown on all the features of the Akracing AK-5015 ergonomic gaming chair. 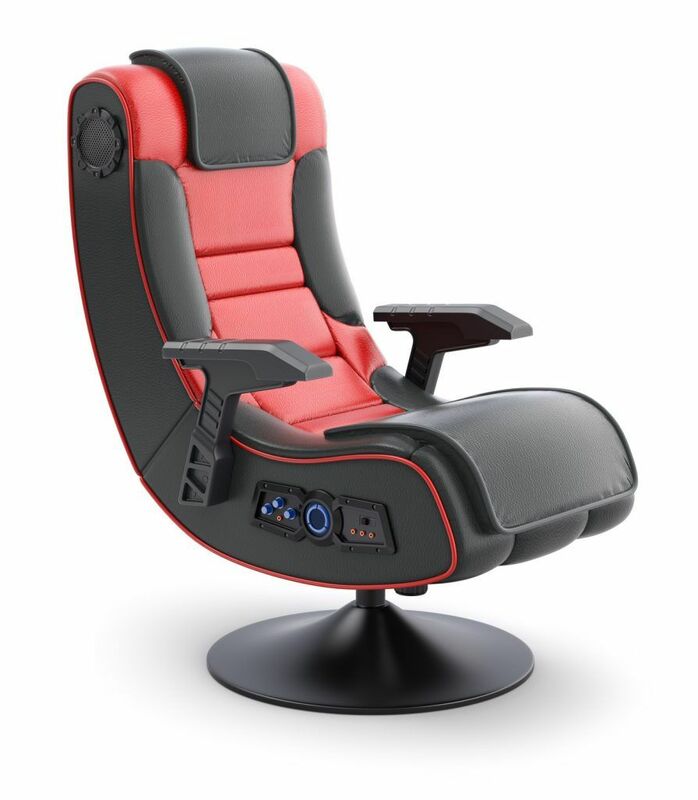 Its sleek design and comfortability have users raving about this gaming chair. If you decide this is the one for you, you’ll enjoy endless hours of gaming in style and comfort. 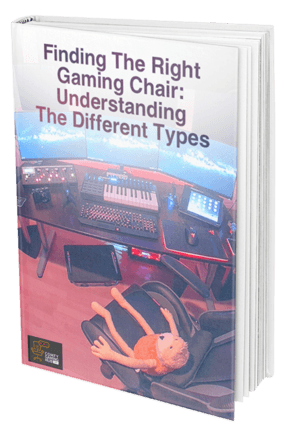 If you need more information on the best gaming chairs available, take a look at the gaming chair guide to help you out. Do you own this chair? What are some things you enjoy about it? Anything you would add to make this chair better? Let us know in the comments.